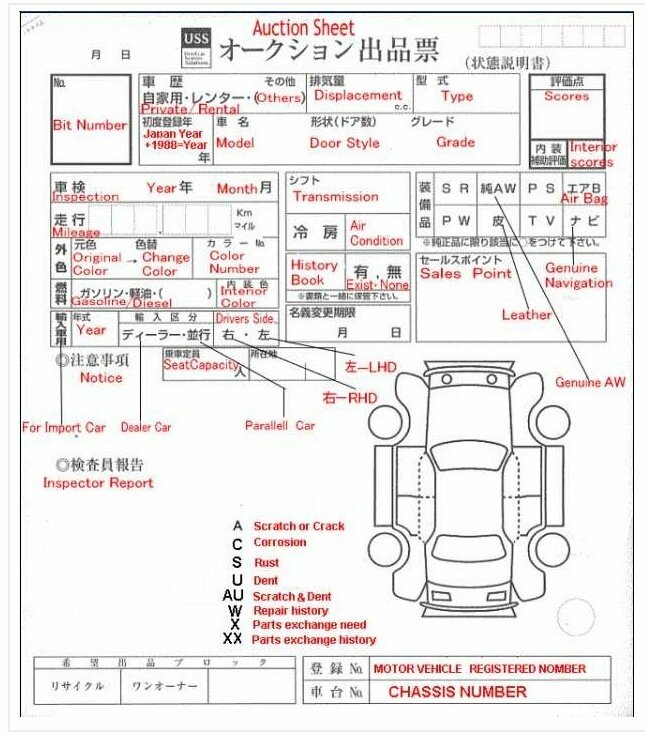 Home Automotive Articles How to Import Car from Japan to Pakistan? 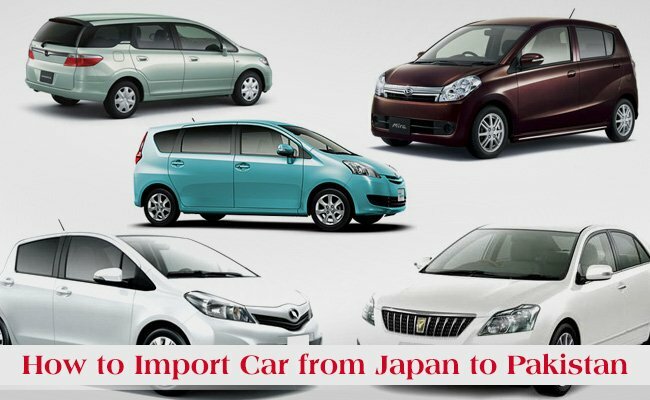 How to Import Car from Japan to Pakistan? Imported cars have gained much support and attention from Pakistani auto consumers in last year or so. The imports are all time high. And considering the low fuel costs now a days, the trend has gotten quite common to go through a car import process. You can either buy one from car import dealers in the open market, or you can use PakWheels Car Import section to find a suitable ride. You can get a pretty accurate idea about imported cars in Pakistan on PakWheels.com and then navigate your way through there. How can you Import Yourself? But if you want to import a car from Japan to Pakistan yourself on your own, you can do that. But you need to be cautious. There are a lot of hoaxers, and you need to carefully. But if you have decided to do so, first you need to know the basics of the car import business. There are auction houses in japan that sell cars. You log into their database through their websites and bid on the vehicle you desire. Find one of those car import portals and sign up with your details. From there, you will find details of all the cars that are available for the auction. Their makes, models, year and other details about their specs, etc. You then will select one of the cars, the make, and model that you can see on the site, and when going in details, you will find its auction sheet as well. Auction sheet is your best tool in car import business to save yourself from buying a wrong vehicle. You will see details of time and date of the auction, the minimum bid, etc. And when you are final about the car, you need to deposit around USD 1000 in auction company’s account. It’s sort of an initial payment to make sure you are serious buyer. One you have made the transaction, you can now bid on the cars. After you have successfully bought the car, the company sends original documents via courier before the shipment of the vehicle. Those documents are original Invoice, original Export certificate in Japanese, translated export certificate in English, and two copies of original B/L (bill of lading). And you will be able to get your car from Karachi Port Trust in approximately 15 days. Now hire a customs agent and get your vehicle. The imported car buying can get confusing especially if you end at the doors of shady vehicle importers. They will try their best to sell you any cheap defective imported cars that they bought of imported for cheap to make maximum profit. Since car import from Japan is on the rise nowadays, it can get tricky to find a trustworthy car import business. And also, custom duty on cars can get confusing for a new buyer. There are many imported cars in Pakistan on PakWheels.com as well. You can get PakWheels CarSure Certification program to help you find a decent imported car in Pakistan. You might be spending money on otherwise what is known as a lemon. Dealing in car import and imported cars on your own can be a risky business. You need a trusted partner to make sure you don’t waste your investment. Another issue is the discrepancies in prices of imported cars in Pakistan. There are so many variants and trims of cars, and there are so many variables involved, like the import grade of the car, the model and year of the car, custom duty on imported cars, and its overall condition, etc. that it can be hard to have a decent idea of imported car prices in Pakistan. You might think you are buying a car at a reasonable price, but the car itself might not be worth half that money.